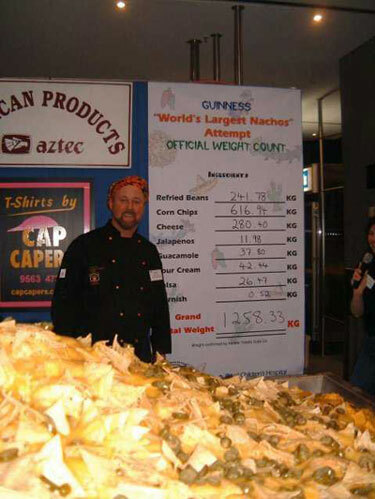 Back on June 8th, 2002, Nachos Mexican Cantina entered into the Guinness Book for the world’s largest nachos. The record had never been attempted until then, and it hasn’t been broken since. The final weight clocked in at an amazing 2,768lbs (1258kg). For more pictures of the record breaking nacho, click here. 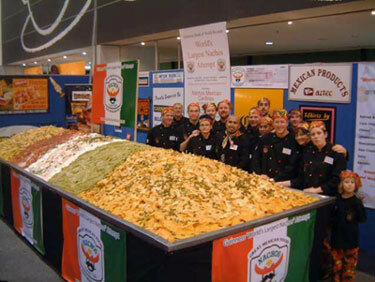 that is amazing i cant beleve how big those nachoes are make them biger. this is kinda pointless, who would eat all of that?